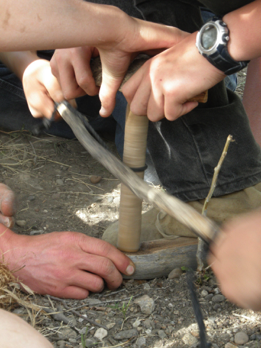 Established in 1991 as Hollowtop Outdoor Primitive School. 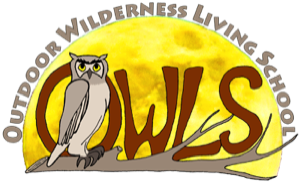 At Outdoor Wilderness Living School (OWLS) it is our mission to awaken children and young adults to the beauty and value of the natural world, while giving them the skills, not only to survive, but to thrive in nature. We feel that kids in the modern world are missing a crucial aspect in their lives—nature connection. 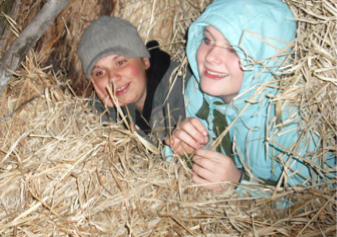 At OWLS we connect kids and nature through indigenous survival skills, nurturing a love and appreciation for the natural world. Through more than twenty years experience running kids programs, we have built a unique program encompassing many skills, such as building natural shelters, handdrill and bowdrill fire-starting, edible and medicinal plants (ethnobotany), stalking wildlife, craftwork such as basket making and hide tanning, and many other skills. We feel that kids learn best when they are having fun, so our teaching style is geared toward passion-based learning with lots of games and playing. We offer our special Classroom in the Woods programs to public and private school groups, home-schoolers, and nonprofit groups such as the Boy Scouts. We also offer a limited number of summer camps. Classroom in the Woods This is the program we’ve created for students of the public and private schools of southwest Montana. We have different options on length and curriculum for students ranging from kindergarten to high school. We can custom design a program for each classes specific needs. This program is also eligible to help teachers meet their Indian Education for All requirements. Summer Camps We offer a limited number of summer camps for those who want to get the full OWLS experience, but don’t have the opportunity to join a Classroom in the Woods program. Check out our current schedule, or send us a note and inquire about a custom program.